In the past, I worked with men and women, but today, all my energy goes to helping the lives of women. I know that when I am looking to work with somebody that I appreciate hearing about other people's experience. My hope is that you become inspired and curious about working with me toward your goals in either weight loss, fitness, nutrition, or a general lifestyle change. I look forward to connecting with you soon. 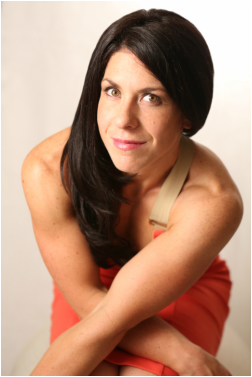 "Brenna offers practical nutritional advice tested by personal experience and backed by research. She quickly helps individuals troubleshoot weak spots in their nutrition and offers quick and feasible pointers, while taking into consideration personal preference when she offers a variety of choice one might make to meet their goals. Brenna is supportive, leads by example, and takes a holistic approach to a healthy lifestyle," stated successful weight loss client, Redwood City, CA. "...Because of her patience and knowledge, Brenna has become my go to person when I have questions regarding nutrition. She has given me tips to make easy and healthy recipes. I enjoy getting her advice because she is mindful of your lifestyle and budget; that is important in order to make realistic diet changes. I also value her opinion because she is mindful of local food sources and leads by example," stated fitness and lifestyle client, Capitola, CA. This was a very special client. The reason she was so special is because our main goal was to help her reduce body fat and her overall BMI so she could become pregnant. Not only did she drop 20lbs, but she became PREGNANT! She maintained a fit and healthy lifestyle through her pregnancy and in September of 2018, she gave birth to a beautiful baby boy! Talk about a success story! Working with Brenna has done so much for me that I find writing a sufficient testimonial and 'thank you' to be near impossible! Before working with Brenna, I had never, ever, ever lost weight or toned my body. I'm 32 years old, and my twenties was a decade of slow and steady growth around my midsection, arms, thighs, etc. Since I have a skinny face, I didn't realize how large I had gotten, especially from the waist down. Then I saw a full body photo of myself and I was shocked! Despite what sounds logical, this was not the moment I decided to hire Brenna. I decided to "do it myself" - because I just needed to eat healthy and exercise, right? Why pay someone to help me when the advice is so simple? Well, although it was simple, and although I have studied nutrition a decent amount, I still did not have the in-depth knowledge of how to build my meal plans properly in order to supercharge my efforts. I also did not know anything about how to design a work out plan that was sufficiently challenging and exciting. And the major element that I didn't have was accountability. Brenna brought all those elements and more to the table. But it took me two years to pick up the phone and call Brenna. My "do it yourself" method had just resulted in two more years of gaining flab. Meanwhile, I admired the Before and After photos of her clients that Brenna shared in her newsletters. Now I get to be one of those Before and After success stories! Brenna's nutritional coaching and meal plans (with great food swap options) made all the difference. For the first time in my life, I lost weight (20 pounds!). My fat pants became too big to wear, and I got back into my skinny jeans, going down 2 belt notches! I learned delicious ways of eating that we still use in our household today. I finally learned how to use gym equipment and properly weight train, and I'm not intimidated to step into a gym anymore - it's actually fun! Consistent weight training also relieved my back and hip pain; my body got strong enough to support my structure properly. If you've been in "do it yourself" mode with no results like I was, do yourself a favor and hire Brenna today. You'll be amazed at how much progress you can make in 6-12 weeks! "Working with Brenna has been nothing short of a fantastic experience. I had been fit and active for most of my life, but as it sometimes happens, fell into a horrible slump. I stopped working out and developed highly regrettable eating habits. Seeing all the work I needed to do to get back to where I felt healthy and fit again was very daunting. Trips to the gym were discouraging, sporadic, and I felt like I would never get back to that place where I was happy in my own body. When I finally decided enough was enough, I contacted Brenna. Best decision I made in a LONG time!! Brenna is very welcoming and easy to talk to. Despite her incredible breadth of knowledge and award winning physique, you will find no ego or condescending attitude here. We discussed my goals together and next thing you know, I was following a meal plan that I loved as well as a workout routine that was varied, fun, and highly effective. Everything was so easy to follow which was crucial for me because I was already so discouraged. Throughout the entire experience, Brenna was always available to answer any questions and to encourage me along with her positive attitude and support. I actually didn't realize how important that aspect was, but having her with me every step of the way made the journey feel more achievable and also kept me enthusiastic throughout the process. In six weeks, I went down a dress size, and I am fitting into jeans that had been taunting me from the hanger for over a year. Though weighing myself was not really a priority, it turns out that I lost ten lbs. However, the number on the scale is really not as indicative of the progress, or the way I look and feel. I am loving the way my arms and shoulders look now. I love the way my old clothes fit and I am excited to go purchase many new outfits! I'm feeling healthy and fit again! I'm about to start my next six weeks with Brenna and am even more excited for this next step! I can't recommend Brenna and the service she provides enough. Thank you, Brenna!" exclaimed successful transformation client, H. Cevallos, San Jose, CA. "Brenna is power packed with great information on seasonal eating, meal planning & prepping for all lifestyles. We were forunate to have her teach at a Santa Cruz Challenge cooking class. She is so positive and makes the best apple cider vinegar drink ever." The Santa Cruz Challenge TEAM. Like that she personalizes menus based on your lifestyle goals. Brenna provided a lot of useful knowledge on food during the cooking class. Brenna is so knowledgeable and seems to really care about people and their health. I like that she teaches to use seasonal foods in our daily lives. "I had so much fun learning new ways to take care of myself. Brenna's program helped me to differentiate my exercise routines and I love running all over again! I also learned a lot about my eating habits and simple ways that I can cut back on my sugar intake. Brenna's recipes are yummy and easy to make. I lost that extra 10 pounds I've been struggling with for months. It's amazing how the mind, body and soul are all connected because most importantly, I feel great! My clothes fit the way I like again and I might even have those things called muscles!!!! Thanks again for all your support and encouragement on my journey. This is definitely a lifestyle change and only the beginning ❤️," Carrie Rinden, Six Week Special Event, Intensive Program. Santa Cruz, CA. After I had my daughter in 2009, I wasn’t able to maintain a healthy weight as easily as I had been able to in the past. I had never exercised regularly and did not have a well-balanced diet. I decided I wanted to change my lifestyle not only for weight loss and toning but for my over all well being particularly for nutritional reasons while breast feeding, stress reduction, and energy levels. I wanted to learn more about how to focus more on my nutrition and how to cater my diet to my body's needs. That''s where Ms.B Fitness with Brenna came in to my life! She wrote me meal plans along with exercise tips (I was already following a pretty rigorous exercise regimen but she gave me specific things to add). She also outlined vitamin supplements for me take which I think help me immensely and I still continue to take them religiously (multivitamin, vitamin C, vitamin D, vitamin B, calcium magnesium combo, probiotics, Omega-3, and super enzyme). I also included the Apple Cider Vinegar at Brenna's suggestion which I think really helped my sugar and soda cravings. Brenna's meals were simple for me to prepare with only a few ingredients which helped with planning for the week. I learned to eat more throughout the day and was never hungry as long as I planned ahead. I also learned to have good snacks ready as a back up when needed so I didn't fall back on bad habits (which are readily available in teacher break rooms!). Brenna helped me learn to eat to perform. I learned more will power to resist temptations and not feel guilty when I declined certain foods offered to me. After following Brenna's meals plans (12 weeks) and using her workout suggestions, I continued to lose body fat and weight all while building my skeletal muscle. By the end of June I was down from 141.2 to 137.8 lbs, 28.1% body fat to 26% body fat, skeletal muscle up from 30.9 to 31.8, and my fat mass down to 35.82 from 39.6! I have a much better idea of what foods to eat, how to plan my meals, and how to keep my carbs, protein and fat balanced for my body. I still follow variations of her meal plans and have been able to maintain my progress and continue to learn how to eat to fuel my body to stay as healthy as possible. I have started setting goals for myself whether it be to run a 5K or learn a new skill to help me stay motivated," stated Kristin Jackson Occupation: Wife, Mother, and Special Education Teacher, Arkansas, USA. I Focus on Helping Women, but Men Learn from me too! "My journey with Brenna has been amazing....Since the day I met her, I just knew she was the right coach for me because of all her hard work and dedication toward her own fitness and health goals. Brenna is such a wonderful, hardworking, independent woman who was always there for me with guidance. I always trusted her, no matter what. My fitness journey with her has been the best because Brenna was always guiding me, pushing me, and giving me lots of motivation. This woman is a great motivator and that is why I never quit because she always believed in me and knew what I was capable of doing. This is why I will continue working with her. It is my plan to have Brenna guide me toward my first bodybuilding show, so that I can rock that stage!" stated successful transformation client, Jorge Ramirez, Santa Clara, CA. This former college athlete turned to me when bodily injuries had overcome his spirit and his fitness goals. In 8 week, this college student made incredible progress. Not only did he drop 24 lbs, but he hit new PRs and overcame injuries. Today, he is getting ready to become a firefighter! Amazing success! In 8 weeks, this man completely adopted a new lifestyle and hasn't turned back. Today, he is even leaner and happier!